The Bevan Foundation are a registered charity who develop ideas to make Wales fair, prosperous and sustainable. 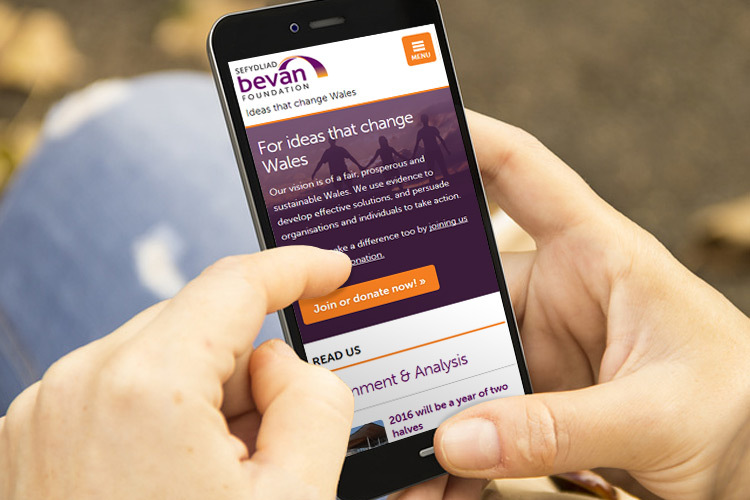 The Bevan Foundation were working on a poorly performing WordPress platform and we initially provided emergency expertise to improve the performance of the website and to relocate it to a better quality of website hosting. Since then we have carried on working with them on many projects including a complete new design for the website; one that works on mobile phones and tablets. The information layout of the website was also redesigned to help group their extensive website content around ‘key issues‘. This allows the website admin team to cross reference related content throughout the website; putting relevant content in front of website visitors; helping make the website more useful & sticky. To find out how our unique process can help transform your website, please contact us.